A few weeks before the open of the traditional Apple WWDC, from 2 to 6 June in San Francisco, rumors are spread more beautiful on the arrival of the iPhone 6 in different sizes (from 4.7 to 5 5 inches), and the iOS iWatch 8. 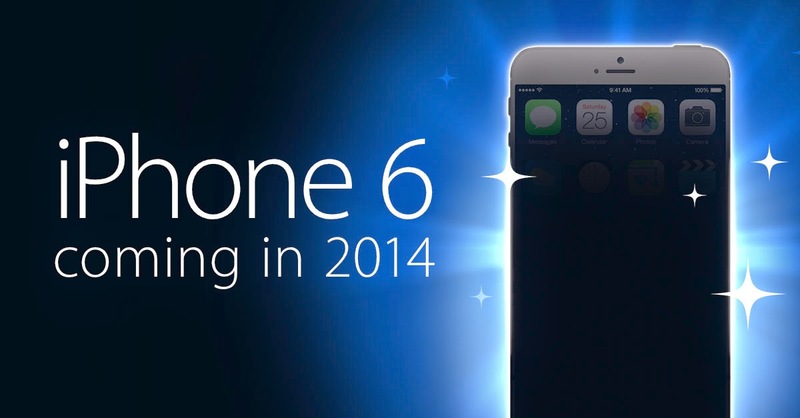 The arrival of the latest iPhone is one of the most anticipated events of the year. After the GSM iPhone in June 2007, the iPhone 3G in July 2008, the iPhone 3GS in June 2009, the iPhone 4 in June 2010, the iPhone 4S in October 2011, the iPhone 5 in September 2012 and iPhone 5S/5C in September 2013, the iPhone 6 is expected in August 2014 with a pre-announcement at the next Apple WWDC (Worldwide Developers Conference) from 2 to 6 June in SF). As before every WWDC, we toured the most plausible rumors to make an initial statement of features and specifications expected. Always well informed as closer to accessories and the main Apple contract manufacturers, Asian media reported that the iPhone 6 would be launched in August. This is a bit unusual because it is a month earlier than the previous two versions of the smartphone. Numerous articles published by the Economic Daily News suggests that the first model of the iPhone 6 - with a 4.7-inch screen - would be offered in August and a second - with a screen of 5.5 inches - arrive in September. Among the main technical innovations, we note the support of NFC in iOS Passbook with 8 to provide a payment solution and a lot stronger than Gorilla Glass 2 current screen (synthetic sapphire or Gorilla Glass 3). If Apple is already using the sapphire lens to protect the photo sensor of the iPhone 5, it is not yet known whether it is possible to produce at the lowest cost lenses from 4.7 to 5.5 inches. Recall that GT Advanced has a contract of $ 578 million with Apple to build a plant capable of producing sapphire crystals in Arizona but can be reserved for iWatch. In addition to a larger and more resistant screen, the Apple iPhone should have a thinner profile (due to size revised upwards the chassis), a faster A8 processor, and an improved image sensor.